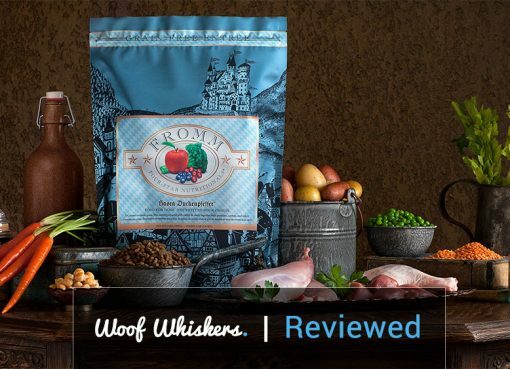 Home > Dog Food > Grocery Pup Review: Will it Bark as Loud as Competition? Grocery Pup Review: Will it Bark as Loud as Competition? Grocery Pup is another awesome entrant in the fresh dog food delivery space. Their unique cooking method ensures optimal nutrition (what we want) and flavor (what your dog wants). There are currently only 3 recipes – hopefully more are added soon for better selection for allergy-prone pups. If you follow us at all, you know we’re pretty nuts for fresh dog food delivery lately. A few years from now I foresee a large pivot from kibble-based dog food to fresh “homemade” quality foods. Grocery Pup just entered the arena – a bit later than some of their competitors who have been serving up fresh dog food to door steps for a couple years, including NomNomNow, The Farmer’s Dog, Ollie, and Pet Plate. However, Grocery Pup offers something new, and it involves their precise method of cooking. So let’s see how it compares with the other great companies we mentioned. We just received our first variety order of Grocery Pup which consists of one bag of each recipe: Bitchin’ Beef Stew, Porky’s Luau, and Turkey Pawella (heh). Sasha nearly ripped the box open before I could find a pair of scissors. 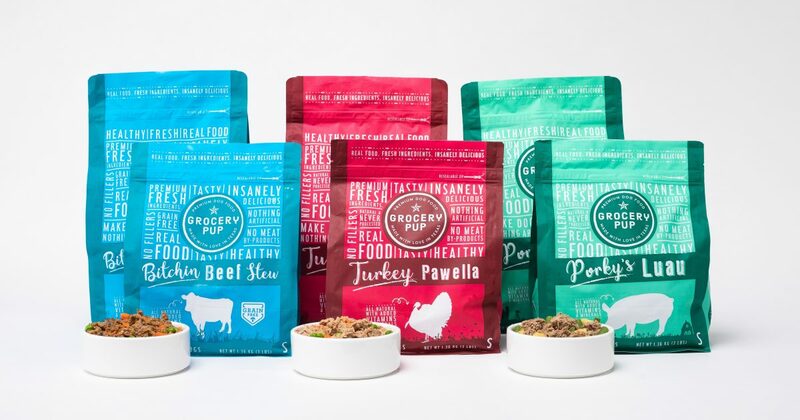 Grocery Pup is offering Woof Whiskers readers 30% off your first order when you order through this link and use code WOOFFRESH30 for 30% off a subscription or WOOFSAMPLER for 15% off sampler pack. The box was delivered a little banged up – nothing that concerned me, but it seems the cardboard might be a little lighter than some of the others we tested. Upon opening the box, a fun doggie bandana sat on top which was a cool surprise – although it only lasts 5 minutes on Sasha’s neck before she gets it off and turns it into a chew toy. Grocery Pup uses similar industry standard box insulation and the usual dry ice which keeps everything COOOOLD – just what we want when talking about shipped perishables. One thing that Grocery Pup did not include – or at least that wasn’t obvious – is immediate refrigeration/freezing instructions. Should the three bags go in the fridge? Or toss them all in the freezer? Should I remove one pack from a bag and put that in the fridge, then put the rest in the freezer? This is something that most of the other companies offer when opening the box, just a quick “what you need to know” paper that tells you what to leave out now and what to freeze. The answer is on the side of one of the bags of food, so not the end of the world. But for first-time customers, this is the type of info you want to know. By the way, yes, you should open one bag and take out a “puck” of food to thaw in the fridge, and then freeze the rest. Grocery Pup only uses human-grade ingredients and not feed. They source these non-GMO, pesticide free, ingredients from farms across the United States. In addition, they make all of their food in a USDA human-food facility which guarantees the same safety standards as human food. As you dice up the food, you can really see a lot of the great ingredients including quinoa, carrots, and green beans (in fact, there was a whole piece of green bean!). The more unique offering from Grocery Pup comes from their cooking method. Grocery Pup utilizes sous vide, an immensely popular cooking method that involves placing food in a BPA-free plastic bag, submerging it in temperature controlled water (usually within 0.1 degrees F), and cooking it up to 160F. The benefits of this “low and slow” cooking method is that it destroys any pathogens and harmful bacteria while also reserving a lot more nutrients and flavor that are often cooked off at higher temperatures. 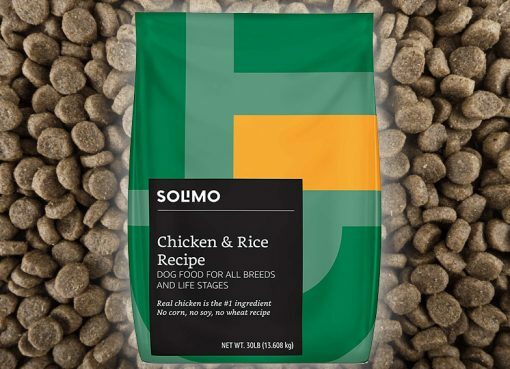 One thing that I find interesting is that out of the ~6 or so main players in the fresh dog food delivery space, they all have a unique aspect to their packaging. Pet Plate offers convenience in perfectly sized bowls that your dog can eat right out of, but at the cost of excessive plastic usage. Others use basic pouches that you have to open and squeeze out into your dog’s bowl. Grocery Pup is a bit different. Their food comes within the sous vide bags that they were cooked in, but those are also placed within a larger sealed bag. So, being the packages are not custom-sized for your dog (each pouch is exactly the size of what they should eat that day), it’s up to you to store it in a container in the fridge and scoop out the appropriate amount. The odd thing is, I actually prefer this. It’s easier to scoop some leftovers out of the fridge than to squeeze the mushy food out of The Farmer’s Dog pouch. I wish there was an easy tear-off section of the pouch though to avoid scissors. Another GREAT aspect of the sous vide pouches is that you can defrost food in 30 minutes or so by simply placing it in a bowl of water. This is life saving because you WILL forget to take one out of the freezer the night before. With other brands of fresh dog food, this can be a headache as defrosting becomes more difficult. On the second night, I already forgot to take one out of the freezer. So the next morning I simply put the package in a bowl of cold water to thaw for 30 minutes. It wouldn’t be a review without a taste test from Sasha. Naturally, she devoured it. I can’t comment on how she ranks it taste-wise when comparing the other fresh dog food companies, but I’d say it’s about even. We generally like to do 50% kibble 50% fresh food with her, but so far she is doing really well on Grocery Pup. Her favorite is the Porky’s Luau! Bonus pic in her bandana. Hurrik9 Ring Launcher Review: Crazy Fun for Dogs!